When starting an online store selling tangible goods like clothes or jewelry, entrepreneurs often struggle to figure out where to allocate their limited funds. Since most entrepreneurs are more familiar with their products than web technology, they spend most of their money buying or building products. They spend so much on inventory that little is left for the online store. The entrepreneur thinks he’ll invest in the store after generating “initial sales.” That’s a big mistake. If the plan is to sell goods online, the online entrepreneur should first invest in a great online store. 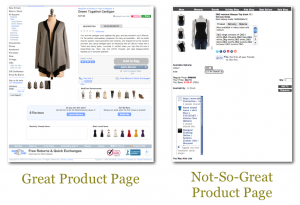 A great online store has a better chance of success than a bad one. 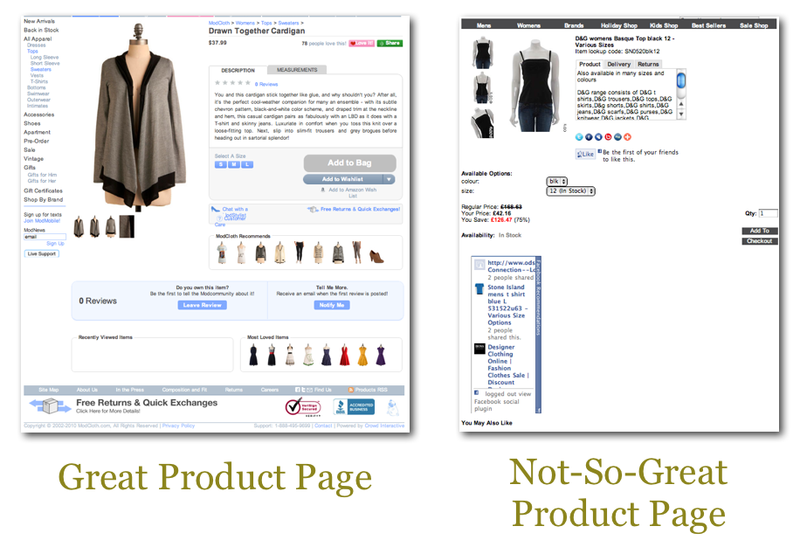 Customers expect a modern website with product zoom, recommendations, and reviews. Every page should be beautiful. They also expect the site to have a personality. (A great example of personality is MadGringo.) All those features take time to design and build into your site, and when it comes to developers, time is money. Unless you’re selling houses, you should spend more on your site in the first six months than on your inventory. The image below is a comparison between two companies with different priorities. The one on the right put lots of time and thought into expensive (designer label) inventory, but very little of either into the online store. The one on the left built a great online store to sell great products. Which company do you think has a higher chance of success? Great post it give’s me the drive to make my site better.